Adler stamped an exclamation point onto the end of his season with a 2nd place Pro 2 podium finish in Round 14 and an impressive top ten finish in the Challenge Cup race. 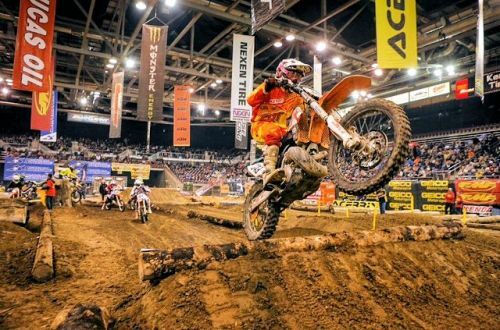 The team saw Greg Adler racing to a total of three top ten’s out of the five races he battled through over the course of the chaotic two-day weekend. 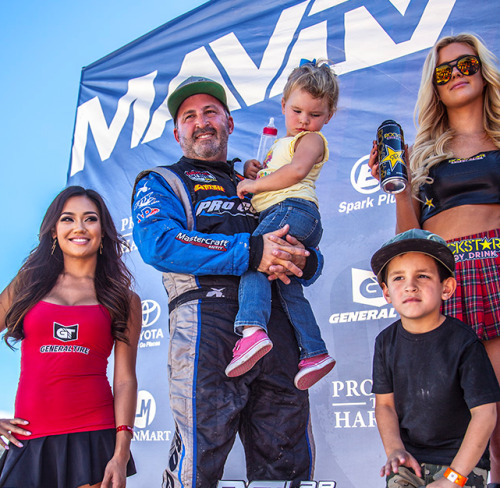 On top of his full time duties as 4 Wheel Parts President and CEO, Adler made five trips to the podium over the 2014 short course season including his second place finish in Round 14 at the Series’ season finale in Lake Elsinore. Adler’s impressive 2nd place qualifying effort in his #10 Pro 4 Ford put him in the front row for Friday evening’s opening salvo. Adler was fast from the drop of the green flag as the pack roared behind him. A few laps into the race, a slight miscalculation put the truck up on two wheels as the front runners thundered past him. Unrelenting, Adler continued to battle back into contention and just missed a trip to the box with a fourth place finish. “After qualifying, we knew we were fast,” said a disappointed Adler after the dust had settled later Friday night. “We had a good run but these guys are the best of the best – one mistake and you’re back in the pack. We were coming back and with a couple more laps I think we could have landed on the box. Now, we’re going to set our sights on tomorrow and get it done”. Saturday afternoon, Adler started mid-pack for Round 14 of the races and pushed hard, aware that he would also be competing in the Challenge Cup that evening. He was able to move towards the front of the pack and, in just a few laps, propelled himself into 2nd place. As the race progressed, he extended the gap between himself and the battle for third place raging behind him and brought the #10 Pro Comp truck home to the checkered flag and a 2nd place finish. 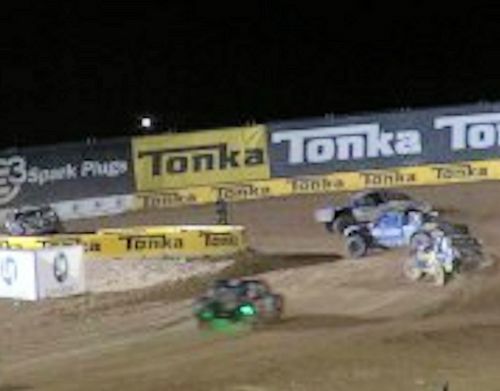 The Lucas Oil Challenge Cup pitted 27 of the series’ best Pro 2 and Pro 4 drivers against each other for a carnage littered grand finale to the short course off road racing season. Adler, although hampered by tire damage from contact while working his way through the bedlam during the 26-minute donnybrook, drove to a seventh place finish as one of just 12 drivers who finished the race on the lead lap. As you know, I love to “Xperience” life! …everything from the great outdoors to the urban landscape. Recently, I had the opportunity to take a road trip to San Francisco, California. It was one of many treks to the city I’ve experienced over the years. While I love the great outdoors and the solitude it provides, my soul also craves the people watching and interaction with others urban life has to offer. BTW, it’s true about the beautiful women in California. 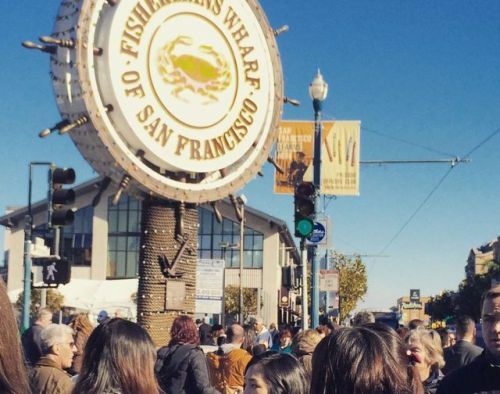 San Francisco is populated with a lot of interesting residents and it’s also a destination for many foreign travelers so you get exposed to a good variety of people and personalities. Hence, I’ve been able to meet people from all parts of the world. Interesting that they all like their libations (that could be because I meet a lot of them while sitting at the bar); Best part of that is that after a few cocktails, you’re soon conversing like you’re long lost friends. 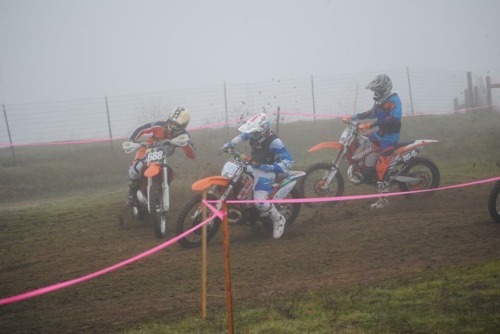 I was fortunate to be able to get the holeshot and navigate the slippery course. For the majority of the first lap, I was in first place until I actually missed a section of the first lap because of the dense fog and got passed by my whole class. However, I was able to move back into first place by the end of the lap. I ended up getting 1st in the A250 and 10th overall in the A Overall! It was a good start for the season! 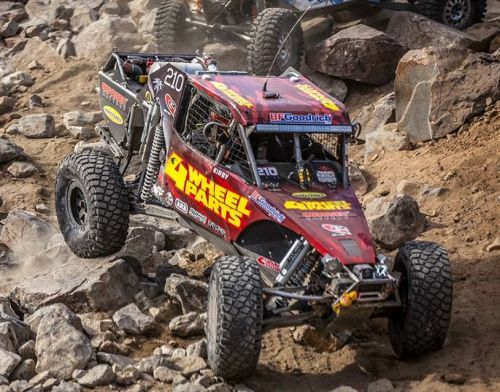 With his qualifying time putting him 7th off the line, Team 4 Wheel Parts’ Greg Adler set his goals high for the 2015 King of the Hammers. After setting the pace through the open desert in the first lap, Adler heads out to the rocks where after making short work of the Sledge and Jack Hammer trails, he continued to battle for the lead. As the sun started to set over the Johnson Valley, Adler was bitten by mechanical gremlins that forced him to retire from the race. Back at the pit after the race, Adler shares his feelings on the challenge of taking on the world’s most difficult one day race while reflecting on the growth of the event and his eventual 20th place official finish. ROAD TRIPPIN’. If you want to listen to country music on the West Coast you need to experience Stagecoach. California, Country Music… It’s better than Nashville. 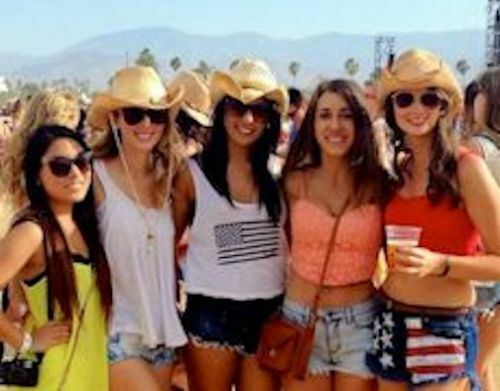 This picture was taken at Stagecoach-California’s Country Music Festival, which was held at the Empire Polo Club in Indio, CA. A group (13) of us rented out a house for the week that was located in Indian Wells Country Club; the other 16 people, that included friends/friends of friends (for a total of 29), who joined us just seemed to show up. The house we rented was right across from Stagecoach. It was the perfect location since we didn’t have to drive to the venue each day and wait in traffic. The whole time we were there everyone was drinking, playing games, and of course blasting country music. Guys were sleeping all throughout the house. The lucky ones got the beds the rest were sleeping on floors, couches, lounge chairs in the backyard, and just about anywhere where there was an open space. The weather is usually really hot in Palm Springs/Indio this time of the year and this weekend it was no exception. At the venue it was really hot and dusty during the day and cold, windy, and dusty at night since the venue was all dirt. There were multiple stages around the venue plus the “Mane Stage” where the bigger artists would perform. It was really crowded and there were so many people there, but with the venue being so large, it didn’t get too crazy. This year you weren’t allowed to re-enter if you leave (last year I was told that you could leave and come back), so that was kind of a buzz kill. When people ask me why I like country music so much… I just showthem this picture. Just had a race last weekend… It was the coldest race I have ever been to; Boise, ID, below 10 degrees. By race time it, maybe, warmed up to 20 degrees. My first race was a qualifying round that was early in the day since I was no longer prequalified. I set the fastest time in my practice round giving me first gate pick in my heat. At this point I was doing everything I could to keep my hands from freezing. I got the holeshot in my qualifier and took second sending me into the night show. I ended up with a pretty good night; 8th in my heat, 6th in my LCQ, and 17th overall for the night! I have one round left this weekend and I’m going to try to put it in the main event. If you happen to make it to the race, I’m #649. During the early practice and qualifying sessions we felt that we were really starting to get the truck closer to where we needed it to be. The truck was working well and we’re getting the handling figured out. In these types of sixteen lap shootouts, there is no pacing yourself. You are going flat out lap after lap while throwing these things around so fast from corner to corner that even making a minor mistake can easily cause you to fall back two or three spots. We were able to get a couple of good runs on the leader but he had the inside on us through turn two and we just couldn’t make it stick. There were a couple of shots to take some chances but when the dust settled it was important that this team secure a solid finish and put the truck on the box. My X Spot™ = Out in the vast woods of the natural forest. I chose to pursue EX as a professional career because it’s something I enjoy, it's not like any other form of off-road racing, it’s extremely challenging and believe I can go somewhere with it. There are only a few things in life that are important to me; family, friends and enjoying life. I really enjoy hanging out with my family and doing things with them, they are a big part of my racing and my biggest supporters. …And if you’re not enjoying life, what’s the point? 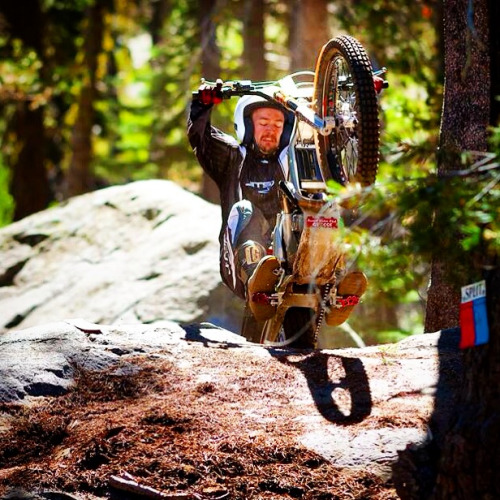 I just missed out on qualifying for the 2014 EX X Games by one spot! I’m focused on working harder than ever to make sure I get the spot next year. The traveling side of racing is just as enjoyable as the racing itself. I get to travel all over the country with family and friends and wouldn’t change it for anything. I was recently asked; "…out of all of the places and experiences…“ what/where is my favorite X Spot? 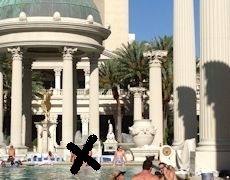 As defined, an "X Spot” is a place or experience that allows you to escape everyday life and/or allows you to indulge in something that nurtures one’s soul. At first I thought that this would be a difficult question to answer since I have many memorable life experiences. However, this recent picture sums up a thousand words into five: My X Spot = family time. This image is particularly special since my entire immediate family was part of the “Xperience” (though most family members are behind the camera). It reminds me of how much I love experiencing life with my family. If you’ve done a lot of traveling by air in the US, odds are you’ve probably found yourself walking through Chicago’s O'Hare Airport on more than one occasion. 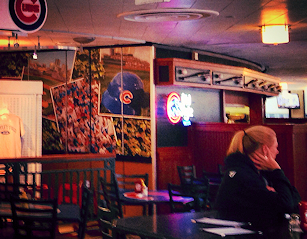 In a rotunda where a couple of the arms of Terminal 3 are joined, you’ll find the Cubs Bar & Grill. On the way to LA to start the 2013 tour, I took this shot as I passed it again. Terminal 2 3, Xperience it. On 5th August 2014 Ash Dykes, at the tender age of 23, set a new World Record by becoming the first person to walk solo and unsupported over 1,500 miles from west to east across the brutal & unforgiving terrain, of the second-largest landlocked country in the world - Mongolia. In aid of the British Red Cross, Ash, from North Wales in the UK, took just 78 days (well ahead of schedule) to walk through some of the most varied and harshest terrain on the planet, including the Altai Mountains, Gobi desert, Mongolian steppe and facing mother nature’s brutal weather from the snow blizzards, sandstorms, extreme heat to the extreme cold and facing the dangerous Mongolian wildlife – Grey Wolves, Wild dogs and venomous creatures. Ash pulled a wheeled desert cart carrying all of his own provisions including food & water, weighing in between 150-200kg. Ash documented his gruelling yet incredible journey across the country, capturing everything he will face from the terrain, the wildlife, the culture, the extreme & changing weather and his own physical & mental state. 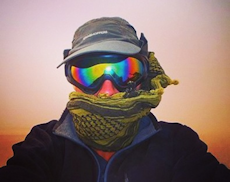 From a young age, Ash has continued to push and test himself to the limits and a combination of exploring and testing himself physically & mentally has lead him to take on many challenging adventures & expeditions, though this is just the beginning – follow Ash on his expeditions and help him raise funds for the British Red Cross. 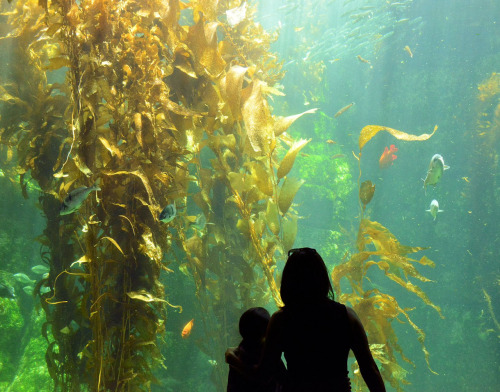 Summertime is the perfect season to get out and explore the world around you. 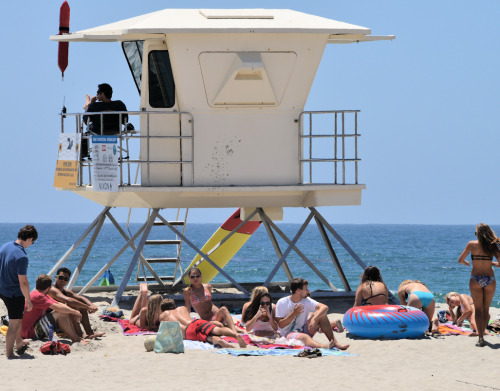 Especially in California where the weather is ideal for experiencing the natural beauty of Lake Tahoe and enriches the scenery naturally found on a warm day at the beach. Rightfully so, Tahoe promotes itself as the urban trailhead. It’s a destination that provides the opportunity for Urban Xplorers to either hike into the vast wilderness and camp in the middle of nowhere, go glamping next to the lake or experience the great outdoors from the balcony of their 5 star accommodations. However, one of the best benefits of living in Northern California is the fact you could hike up a mountain top in Tahoe and experience the crisp morning sunrise and on the same day experience the sunset over the Pacific Ocean relaxing next to a bonfire on the beach with some buddies. All I can say is, it was memorable. Quite the experience. As you know, what happens in Vegas stays in Vegas…Sorry. 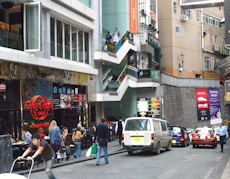 This was the extent of our experience at the Hard Rock Cafe in Hong Kong… just passing by. There were too many other packed bars to venture in to. For those of you who’ve never been to Honk Kong, the Lan Kwai Fong district is definitely a place to experience for night life. After 9 pm the streets start getting crowded. 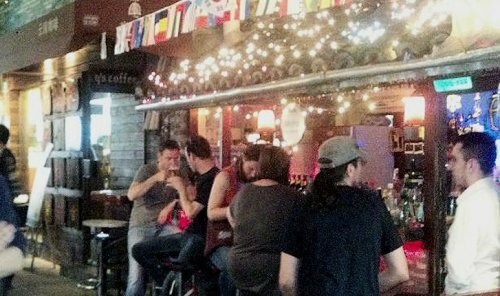 It’s a great place for food, libations, to socialize or just people watch. If you’re not staying in Kowloon it’s easy enough to take the MTR (train that goes under the harbor). LKF is only a few blocks from the station. In H.K. there’s no sales tax, clean public bathrooms (in the mall), and good night life. It’s easy enough (as an uno-lingual American :-) to get around since many residents speak English and it seems like there always a Brit, Aussie, or American traveling through there that you could ask for assistance. …Also, it’s been my experience that most of the foreign travelers I’ve met outside the U.S. are bilingual. Like the Vietnam cycle, the Australia cycle was a last minute decision. This bike ride went from Melbourne to Adelaide, covering some 700 miles over 12 days. This cycle was more leisurely allowing us to see more of the country whilst soaking up the Australian wilderness. The route cycle took us along the great ocean road allowing to see the 12 apostles. On heading away from the coast further in land, the wildlife in their natural habitat was abundant. During this part of the cycle I had the opportunity of seeing porcupines, snakes, kangaroo’s, wallabies, Koala bear’s, emu’s, dingo and a range of different types of birds and spiders. By the way, I had to buy another bike for this journey, which was a women’s mountain bike, as it was the cheapest. So I bought a pink helmet (for a laugh, honest!) although it went well with the pink & white bike, I think! After buying a rack and a front basket it cost around £70. Again minimal provisions were taken & the same tent used in Vietnam was home each night…although this usually ended up wet inside as it was not waterproof! 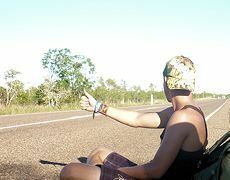 The Australian cycle, like the Vietnam cycle, was tough mainly due to the unsuitable bike and lack of equipment, but both journeys were massive highlights during the travels. In Australia the winds were against you almost every day, in Vietnam the mountainous terrain challenged you, and both countries the temperatures reached 40 degrees plus. If you challenge yourself physically and mentally, you really start to understand just how much you can push your body and mind. I was an overweight kid. All my life I was bullied and told I could not properly do any physical activity. One day I decided to change that. I started going to the gym, running and eating less. The start was extremely hard, both physically and mentally. The most difficult part was having to overcome the psychological barrier that I created over the years from hearing people tell me that I could not do it. Now, I wanted to prove to myself and others, who had ridiculed me in the past, what I could achieve. 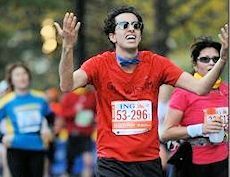 I registered to run the NYC marathon. Mind you that I have never done any races in my life, my first race would be a marathon (26.2 miles for those of you who didn’t know). I trained exhaustively, ran, and made many sacrifices in pursuit of accomplishing the second part of my goal. The day of the marathon was very emotional for me. There I was on the start line, scared, nervous; wondering if I wasn’t cut out for this. However, I managed to overcome those fears and start running. Mile after mile, sweat, pain, …and more pain. I tried to take all the positive energy from the spectators and motivate myself. And after 26.1 miles of running, the finish line in sight, I started crying uncontrollably. When I crossed the finish line crying, with my medal around my neck, the only thought in my head was : I made it, I can do it, I did it!. Based upon my experience I am confident that anyone with enough will and effort can make their dreams come true. So I got an offer in May to ride some special high altitude single track in the middle of Nevada. 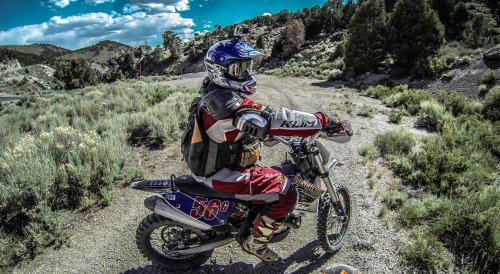 After some lengthy planning of dates ,coordination with fellow riders and caravan of gear, gas and bikes we set the date for July 5th/6th weekend. I gave myself the LonghaulBandit nickname a few years earlier as I networked myself into a great group of guys who all love exploring and finding trails not too often traveled; trails few know of. With that desire to drive to far destinations these trails were secret and closely guarded. GPX files were revealed only days before the ride. Up to now I had ridden a guided offroad MX tour in Mexico and a 5 day trip with buddies to Bend,Oregon but I hadn’t ridden high plains desert much. The day started out chilly but grew to over 90 degrees. We packed extra everything and stashed extra gas cans and set out into the low plains and two track with our destination in sight, the highest peak in the distance which tallied 6000 feet. The trails proved to be worth the drive as we wove from canyon to canyon linking up nearly 50 miles of singletrack with little freeway connections. Many trails were strewn with cattle and every so often a rich green valley of tall grass and even some water crossings were hidden in these desert canyons. After passing through natural groves of aspens and brich we crested the peak for a lunch break and spotted a heard of about 20 wild mustangs. Can’t say I’ve seen that before. In all we totalled 112 miles on the day and it was a full 8 hours on the bike with some rest breaks,photo ops and gas stops. Fortunately, there was great food waiting for us at the restaurant where we staged. If you chaps remember, we met you at Mojito in Shanghai. Told you I wouldn’t forget to upload a story. Here’s a picture of one of many X spots to refresh your memory. We ended up going back there again the next night and made many more friends. Our month long trip traveling through Asia was quite the experience or as you refer to it “xperience”. Interestingly we met quite a few non-Asians, such as yourselves during our travels in Asia. Funny how most of them we met at places like Mojito’s or other “pubs”. From the time we saw you guys we ventured down to Hong Kong and visited the Lan Kwai Fong district as you suggested. Thanks for that suggestion. So many beautiful women. William and I enjoyed our time there :). From there we hopped over to Macau for a few days. If you’re looking for a memorable experience go to Macau Tower. Claims to be the world’s tallest bungee jump. We had to head back home after that. Can’t share too many our shenanigans with you on your webpage, but will let you know the next time were in the states.